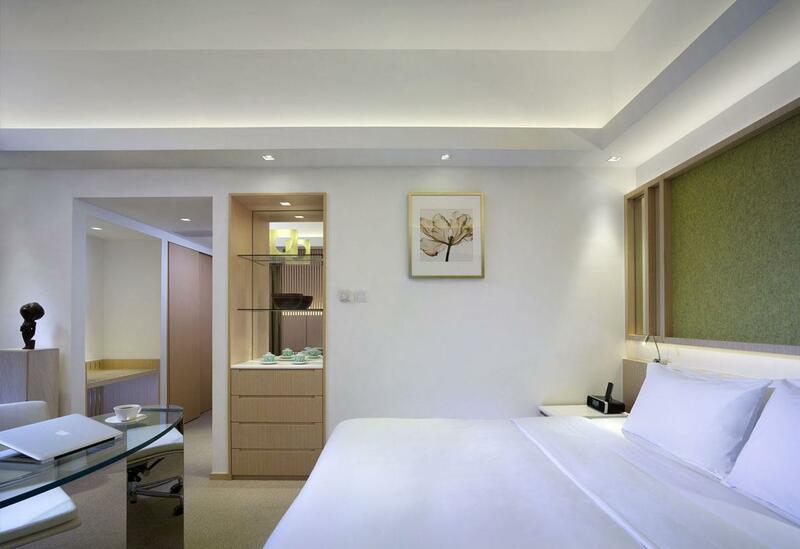 Eaton HK is a modern hotel with a great vibe. It's located in close proximity to Jordan MTR (5min walk), Temple St Markets (2min walk) and Ladies Markets (15min walk). Nathan Rd has many stores to meet your needs and Starbucks is located on the corner if you're after a reasonable coffee. We stayed in a family room which comfortably accommodated 5 (kids 14, 12,12). The pool and gym are small but convenient. There are great eating facilities on-site, with an impressive buffet breakfast for those that like to eat in and an impressive range of cuisines on offer throughout the day and night. The staff were always on hand and very helpful. We highly recommend Eaton HK and would definitely stay again. Not much really. The pricing was on the high side but comparative for the Hong Kong market.